With the proliferation of DVRs (Digital Video Records) such as Tivo advertisers have been scrambling to find ways to get their message across and product placement has been the growing trend. Of course, this is nothing new. We’re used to seeing our hero driving the latest Audi R8 as in Iron Man or James Bond wearing a fashionable and surprisingly resilient Rolex. We even saw Will Smith upload a virus that wiped out an entire Alien mother ship that was set to destroy earth with, what else, a Mac. However, product placement has gone to a whole new level lately. Take for example this week’s episode of Modern Family, one of my favorite new comedies this season. 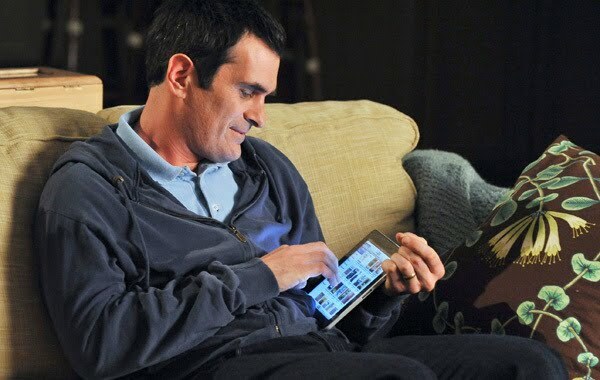 The entire episode focused on Phil’s birthday, played by Ty Burrell, and his obsession with his birthday gift: an iPad. It was not a subplot; it was the plot. The word “iPad” was mentioned at least a dozen times in the 30 minutes during the show. The climax scene pictured Phil getting a virtual birthday cake complete with burning candles on the screen of his new iPad, which he “blew” out by blowing on the tablet and then watching the candles extinguish themselves like in real life. “No it didn’t do that? !” he said incredulously. “Yes it did! !” beamed the proud wife. 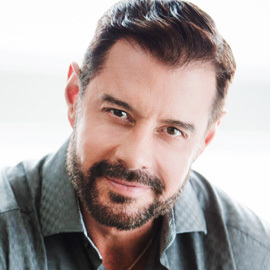 At the end of the show, we see him sitting on the couch caressing the iPad gently as he whisper to it “I love you.” Unwittingly, his wife thinks he’s speaking to her and answers, “I love you too.” Fade to black. Wow! Modern Family is one of the top shows this season and they wrote an entire episode around a product release. Brilliant Apple move. Last night I was watching “Bones” one of the many forensic-who-done-it shows. Two young attractive women are seating in a minivan about to take off. Here’s how the dialogue went: “Angela why do you drive a van. You are not married. Do you have children I don’t know about?” “No, I don’t have children. I’m an artist and the Sienna fits my lifestyle. Besides I can’t park very well and the back up camera is awesome. I can’t live without it.” You’ve got to be kidding me! That whole scene was not to develop the characters, move the plot along or provide comedic relief. All it was intended to do was to sell minivans. Shamelessly sell minivans. I could see a church bulletin entry that read: Pastor Pete Wilson reads primarily from the New King James Version of the Bible during his studies. For those of us who don’t have to budget to put our products or services in a movie or sitcom, where should we place our products?Any ideas? I think that social media is one of the best new frontiers for product placement. Bloggers are always looking for writing material and product review and endorsements helps them and brands as well. It's interesting that the FCC has passed strict rules that bloggers that get paid to mention a product on their blog have to publicly disclose that, but there don't seem to be any such guidelines for TV or movies or pretty much any other medium. How about Carlos Whittaker's next family video? That's a great point. But I've heard a lot of negative press on the two incidents on my blog. However, we're all talking and blogging about them. Personally, i think product placement is fine up until it interferes with the creative process. When advertisers influence the plot and the dialog as in the cases above, I think that's over the line. Survivor and Extreme Makeover Home Edition are 2 shows that have been doing product placements for years, but I've never felt like they went over the line. The Amazing Race comes pretty close when they have racers spend a whole show looking for and then carrying around a Travelocity gnome. Ultimately, though it's going to be up to the viewers. If they think a show's producers have sold out, they may choose not to watch anymore.